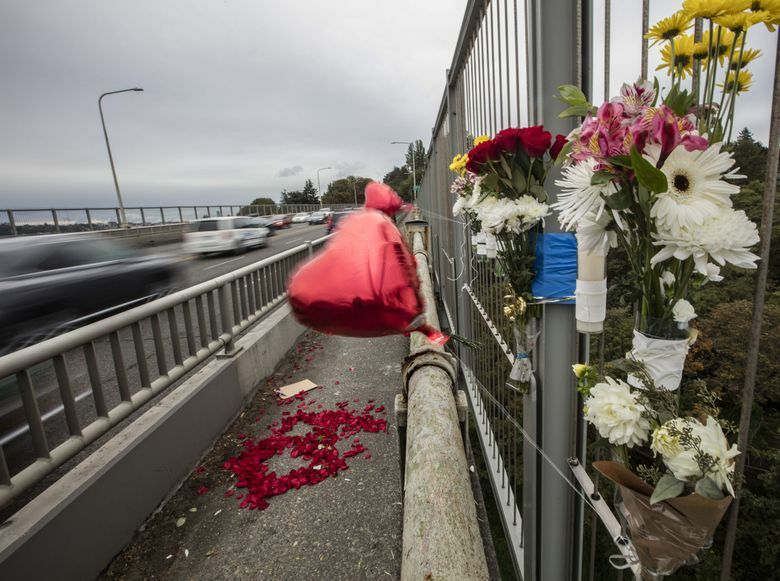 NTSB investigators say the Duck vehicle involved in Thursday’s deadly crash on the Aurora Bridge had not undergone a safety repair recommended in 2013. 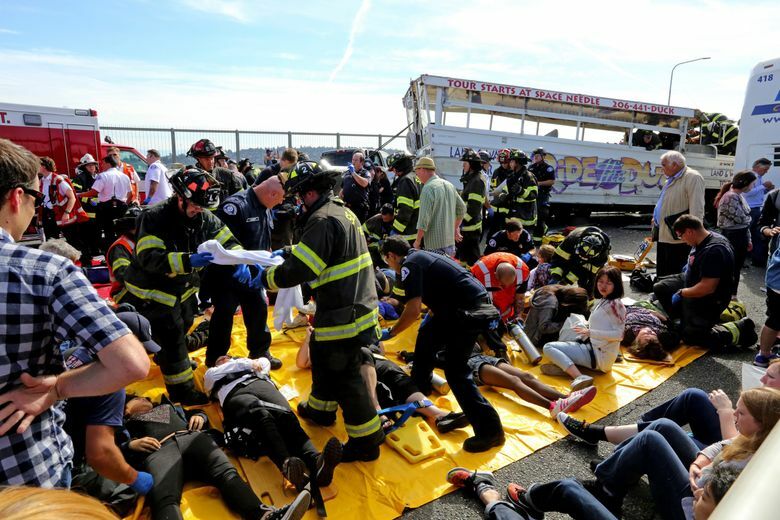 A 20-year-old woman died on Sunday of injuries suffered in Thursday’s crash on the Aurora Bridge, the fifth death from the collision between a Ride the Ducks tour vehicle and a charter bus. The woman, identified as a student at North Seattle College, died Sunday at Harborview Medical Center, a spokeswoman for the hospital said. All five victims were students attending the college. Also on Sunday, a federal investigator said the Duck vehicle involved in the crash didn’t receive a safety fix recommended by the company that refurbishes the amphibious tour vehicles. 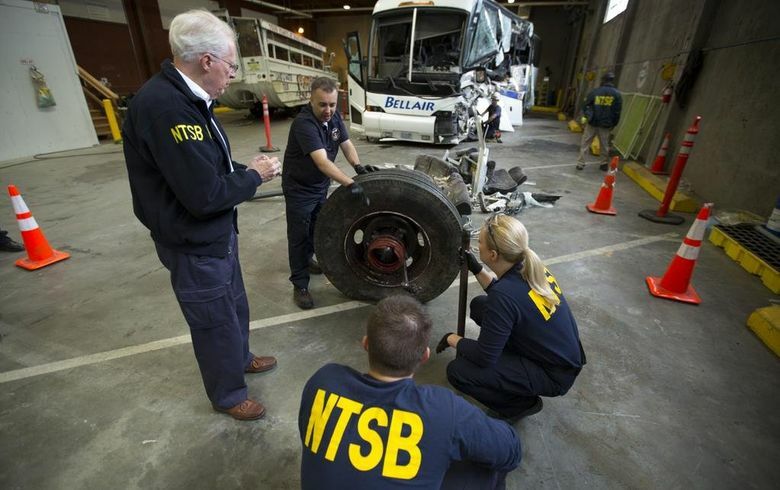 National Transportation Safety Board (NTSB) member Earl Weener on Sunday said Ride the Ducks International, headquartered in Atlanta, found a potentially dangerous failure point in the amphibious World War II-era vehicles’ axle housing in 2013 and recommended a fix in a notice to companies that use them. The Duck involved in Thursday’s crash didn’t receive that fix, Weener said at a news conference on Sunday. It’s unclear whether the Seattle Ride the Ducks business received the warning. Brian Tracey, chief executive of Ride the Ducks of Seattle, said in a statement read to reporters late Sunday evening that the company is “working to understand what happened” regarding the recommended fix. “We are absolutely heartbroken by this news,” he said of the crash, offering his condolences to the families of the victims. The state Utilities and Transportation Commission (UTC), which regulates commercial motor carriers, said Sunday that it would inspect all Seattle Duck vehicles and driver records. Ride the Ducks of Seattle has kept its fleet idle since the crash, and the commission is seeking to prevent the company from resuming operations until inspections are complete. “I believe that until we can be assured that each of these vehicles and drivers have been inspected they should not be back on Seattle streets,” Gov. Jay Inslee said in a statement. Tracey said he agreed with that assessment, and the Ducks would stay off the road until “we can demonstrate that our fleet is well-maintained, road-worthy and safe.” He said the company would continue to cooperate fully with investigators. The Duck involved in the crash, identified by the Coast Guard as Duck No. 6, was built in 1945 and last refurbished in 2005, the NTSB’s Weener said. Weener on Saturday had said the vehicle’s left-front axle was “sheared off” in the crash. Four people, all passengers on the bus, died at the scene after the Duck veered into oncoming traffic and hit the bus. The NTSB hadn’t determined what caused the axle failure or whether it occurred before the collision. But the failure seems to line up with witness reports that the Duck swerved and appeared to have a mechanical problem just before the accident. NTSB investigators have interviewed 11 passengers, as well as paramedics and other first responders. They plan this week to interview the drivers of the Duck and the charter bus, which was operated by Bellair Charters & Airporter, Weener said. 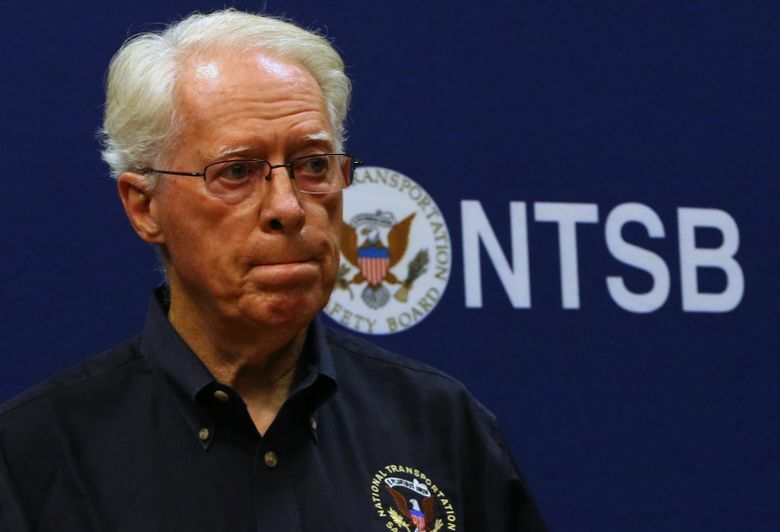 Ride the Ducks Seattle has provided the NTSB with maintenance and training records, among other documents, and has been cooperating with the investigation, Weener said. Federal investigators will remain in Seattle for the next three to five days, he said. The investigation into the cause of the accident will likely take a year. Thirteen victims of the crash remain at Harborview, including four in serious condition in intensive care, said spokeswoman Susan Gregg. The woman who died Sunday had been in critical condition since the accident. Two other crash survivors, both in satisfactory condition, are at the University of Washington Medical Center.